N.B. — Opinions expressed are those of our correspondents and "Motor Sport" does not necessarily associate itself with them. — Ed. Having been momentarily misled by your caption "Lord Lyons and the Flying Horse" into supposing that Ferrari had joined the tedious succession of "hot-rod" protagonists, I was relieved to discover that the products from Modena, like those of David Brown Ltd., are content to rely for prestige upon consistent racing successes rather than to demonstrate a sine qua non ability to travel very quickly for a short time in a straight line. It is to be hoped that the present emphasis upon maximum speed as a criterion of "production" car performance will not ultimately reconcile us into accepting braking and roadholding as "optional extras." At last I find a keen sports-car enthusiast's view on post-war M.G.s and I am in full agreement. The only reasonable explanation for producing such an overweight model and so hideous a design is for its export value, of which America heads the list. Comfort was never meant for a sports car, nor the additional decorative mantelpiece look. Let the manufacturers produce a midget like the "PA," of which I am an owner, or "TC," but in my model with the addition of hydraulic brakes keep to the traditional wire wheels and, as an optional extra, fit the beautiful to handle crash gearbox, and they can't go far wrong. I don't think they build Midgets to the specification of the young and able enthusiasts but for the boyishly-minded middle-aged gentlemen. Incidentally, who is the designer of the TD and TF Midget M.G.? I am writing to offer you my congratulations and support in your campaign to try to improve the present poor quality and overseas service facilities of British cars. I am making a careful list of the bigger names in the industry who have withdrawn their advertising support, so that I can refrain from patronising them in the future; my brakes are going to need relining soon ! I hope that other readers will follow my example. Good luck to Motor Sport in 1954. 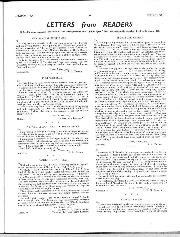 With reference to the letter by J. E. Hands appearing on page 622 of the November issue of Motor Sport, Vol. XXIX, No. 11. "Filtrate" (regd.) Motor Oils made by Edward Joy & Sons Limited, Leeds, are high quality motor lubricants and contain no "additives" as mentioned by your correspondent, "Filtrate" (regd.) Oils are, however, treated with additives to either the premium or heavy-duty levels to suit those customers requiring such oils. Modern research has shown that an engine can be kept clean by the use of anti-oxidant additives in the lubricating oil which prevents, or retards, the formation of those gums and varnish-like deposits which together make an engine "dirty." These oils are really necessary in air-cooled high-speed engines and do contribute to improved running and longer periods between overhauls. No really dirty engine, such as the modern "diesel," should run on straight oils. The heavy-duty oils incorporating detergent properties have been produced to meet the very difficult conditions met with in the efficient lubrication of diesel engines. Edward Joy And Sons Limited. May I express my support for the remarks of your correspondent W. S. Russell. For some time now I have been of the opinion that the recent "production" classes staged at Silverstone have been a complete farce. As Mr. Russell points out, these races were first introduced so that the public could see how the vehicles they themselves could afford to maintain stood up to competition. Alas, the position is very much altered now. What chance does the owner of a TD M.G. stand against a highly-tuned version of his engine in an expensive chassis? Can the owner of a 2-litre saloon be expected to compete against a £3,000 Bristol just because it falls inside 2,000 c.c.? I feel very strongly that the organisers of the production classes are throwing away a chance to increase the attendance of the lay public and their interest in motor racing. I have seen photographs in Motor Sport of a Cooper-Bristol fitted with flimsy wings and lights competing against ordinary sports cars — how perfectly ridiculous! Next season will soon come round. 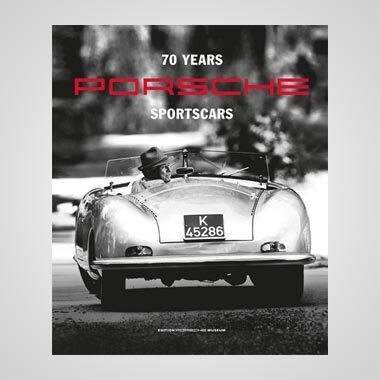 Let us have some clear-cut rule concerning sports cars and sports/racing cars now. The appearance in races of the new Triumph TR2 and Jowett R4 will be of tremendous interest to all enthusiasts because of their very good value for money, but only if they are not competing against expensive "specials" and thinly disguised racing cars! A surplus of Formula II racing cars next season can ruin sports-car racing in this country if they are allowed to compete in sports classes. In conclusion, may I be permitted to make observation on the excellent contribution of Ken Wharton on Grand Prix racing. He says, in effect: " If we permit the chemists to develop nitromethane and other similar fuels we shall still be one step behind the Italians so why bother?" Surely he is supposing that we shall never produce an engine of equal power to the Italians, and they will always have the edge on us! I have always considered that ever since the first Grand Prix, designers have been permitted to do as they liked within the limits of each particular Formula. Did not the introduction of the supercharger cause a great stir? So why bar nitro-methane ? Of course it will create problems but so did the performance of the Grand Prix car of the mid-thirties, but they were solved. Grand Prix racing today has already lost enough of its spectacle since the introduction of the unblown Formula II cars; if nitro-methane helps to bring back some of that spectacle then I say let the chemists start their war. Any ideas we had about cheap Grand Prix racing should have been washed away by now. It's all or nothing! 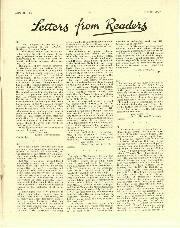 I consider W. S. Russell's letter on sports-car racing in the December number of Motor Sport one of the best you have printed. Some two or three years ago I took this matter up with the Sports Editor of the Daily Express with regard to their sponsored meeting at Silverstone. My idea was that he or someone appointed by him should personally select a sports car from any dealer's shop window of the make entered by any individual manufacturer. It should be "sealed" and delivered to Silverstone three or four days before the advertised date of the meeting. Any tuning necessary should be done in the paddock. He was in full agreement with me but apparently the manufacturers would not play. In conclusion, why doesn't Barry C. Hodgett say where he bought his secondhand Wolseley. It would do the trade a world of good to eliminate such "dealers." I have been intrigued by the correspondence concerning the cost of a hub-cap for a Speed Twenty (presumably Alvis). Surely it is a question of quality and comparatively small quantity? The Speed Twenty, if produced today, would be in the £2,000-£3,000 class, and 40s, would not appear to be unduly high a price for a hubcap on a car of this type. I believe the rotor arm for a Derby-built Bentley costs £1 0s. 10d. as opposed to 1s. 9d. for those on humbler vehicles. It is unfortunate that although one may buy a quality car for a fraction of its original cost, one has to pay full measure for new spares. Consequently cars of this type are only an economic proposition if run on a long-term basis by people who can afford to maintain them as they should be maintained. 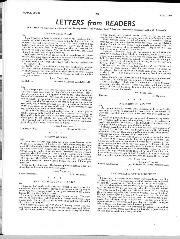 I would like to draw the notice of Motor Sport to our fourth Lent Term Rally, to be held on January 30th/31st, 1954. This is our 500-mile event, now known amongst sporting circles as the "Miniature Monte," it promises to be a tough event, providing those unable to go on the Monte with a substitute. We hope to make it a useful training and practice ground for those that hope to go in for the hardier type of rally. We will be following our usual practice of not causing the navigators to have brainstorms, but to lay the accent on driving skill and vehicle endurance over 500 miles of metalled roads, carefully planned, even if the weather is kind to competitors, to sort out the best competitors, without driving tests. We have also got driving tests if by some chance, due to the general improvement in rally driving, some lucky individuals foil the organisers. The general opinion, I believe, was that last year's rally was a success. We hope to repeat this again and at the same time put the rally one step up the rung of successful rallies in Great Britain. Hence my appeal to you to put a comment about it in your excellent motoring journal. Details of the rally are: Starting points, St. Neots and Huddersfield; invited clubs: B.A.R.C., London M.C., V.S.C.C., Lancs & Cheshire C.C., and the Combined Universities M.C. The finish will be at the Palace Hotel, Buxton. It may be of interest that the C.U.A.C. 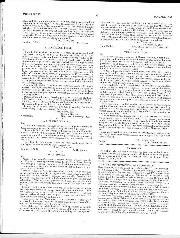 is running the fourth Inter-Varsity Rally on October 30th/31st, 1954. Would it be possible, through the courtesy of your columns, to trace someone who may be able to help me with a problem? I have a J2 M.G. of 1933 vintage (if I may use that word) in which I wish to fit a Ford Ten engine. I know that it can and has been done but, not wishing to waste time and precious money on experiment, would like details from someone who has already tackled the job. Your help in this matter would be very much appreciated. Apologies for hurt caused to M.G. enthusiasts. 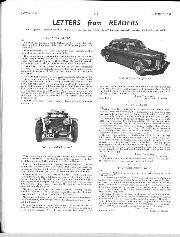 While other manufacturers marketed Speed Twenty models, Mr. Plumley's letter apparently refers to the Alvis Speed Twenty and, though no one can condone lack of value for money, there are several points he does not mention which should be known to prospective Alvis owners. Firstly, a pre-war Alvis is exceptional in that, though one may spend considerable sums in putting it in first-class order, once this is done you have a vehicle containing workmanship found in few post-war cars, together with a high standard of performance and reliability. The total cost, particularly if carrying out the work yourself, will be considerably less than that of a comparable new vehicle. Secondly, while some spares may appear to be expensive others are very reasonable but, in any case, they are obtainable. You can therefore run an Alvis safe in the knowledge that it will not become useless through lack of parts, while the company give technical advice willingly and promptly. There must be few Alvis owners who consider a "blow up," however hard or long they drive, as more than a remote possibility, and for the average owner it does not exist. 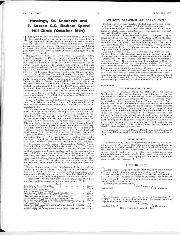 This Club, and the Alvis Register which specialises in models up to and including the 1932 12/60, has as one of its aims the assisting of owners of Alvis cars with information and spares through the Club bulletin. In these days of high labour costs many people can only keep their cars by doing their own work and had Mr. Plumley approached this Club I have little doubt we could have assisted him. I am at present rebuilding a 1933 Speed Twenty and have had no difficulty in obtaining spares at reasonable cost within 24 hours. Further I should be more than willing to prove to Mr. Plumley that for the man who wants performance, possibly in saloon form, at a reasonable cost, an Alvis car is an excellent proposition. General Secretary, Alvis Owner Club. 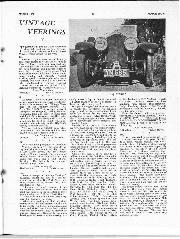 As a very satisfied customer of Messrs. Renault, I feel I must refute the condemnation of the 750 Renault by Mr. Sandford-Morgan in his excellent article on "Motoring Variety in Australia." 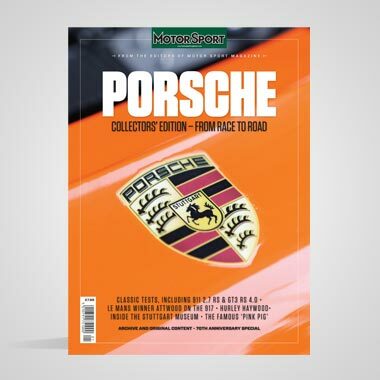 I purchased one of these cars, solely on account of the praiseworthy road tests in Motor Sport and its weekly contemporaries, and have found it even better than described. 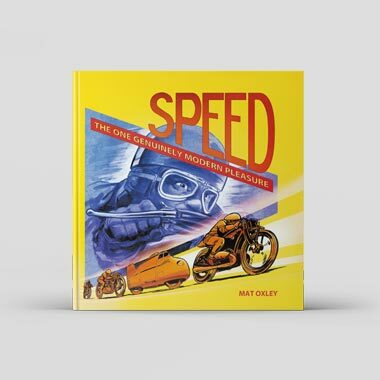 So far I have done only 10,000 miles, and have never had a moment's trouble; once carefully run-in, I have completely ignored the maker's somewhat cautious advice that it is inadvisable to exceed 50 m.p.h., in fact I find that this velocity seems to be the ideal cruising speed, although I never hesitate to flog it at a mile-a-minute for long periods should it be necessary. The roadholding and general sense of security is outstanding, whilst the joy of being able completely to ignore bad road surfaces, more especially level crossings, has to be experienced before it can be fully appreciated — I have yet to find any modern "baby" car that even approaches it, true that when the rear end does "breakaway" it does so with greater suddenness than on a front-engined car, and during the subsequent correction the weight of the engine is noticeable. True, there is a very bad rumble and vibration on the overrun, but I understand that on the 1954 models this has been cured by judicious use of rubber mountings; as to body vibration, one cannot expect complete soundproofing on a car built to the lowest price and only weighing 11 cwt. I have resisted the temptation to fit two carburetters, double valve springs, special manifolds, etc., as its present performance would seem adequate for what it is — namely a family four-seater baby car, but should Renaults see fit to market their Type 1063 in this country I have no doubt that very considerable consternation would arise amongst all those owners of M.G.s, Morgans, Dellows, etc. Needless to say I have no connection with Renaults, and over the last thirty years have owned enough cars to appreciate a good one when I find it.